CITIZEN PROMASTER. DIVER'S 200MT. WEIGHT: 95. BRACELET MATERIAL: Rubber. FUNZIONE: data-ora. Very nice ISO rated dive watch. Design and accuracy punch way above its weight class. Came with yellow fake scuba tank presentation container. 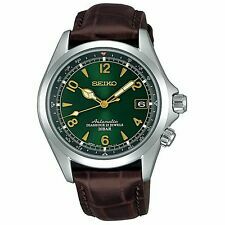 Value is remarkable and it's easily as nice as Seiko skxoo7. Only thing to consider: it does not have micro adjustments on the clasp so it might be hit or miss whether the bracelet fits your particular wrist size. Fortunately for me, I was able to remove links to a perfect sizing on my wrist. But that may not happen for your wrist size. These are getting very hard to find brand new. It has been an excellent acquisition for me and gets worn a lot. I picked up a really good deal on this watch that has been discontinued by Citizen. I've been wanting it for a long time and thought I better pull the trigger. I got the jewel bracelet which is really nice, but I replace it with a bullfrog strap from ClockworkBIRDshop. The movement is really nice. Great lume. It has been compared a million times to the Seiko SKX, which I also have. They are interchangeable and you can even go with the SKX on the left arm, and the NY0040 on the right arm as the crowns are on opposite sides of the dial if you're inclined. I'm so happy with this. I was initially thinking about waiting and reselling it, but it's been on my wrist since I opened the box, which is so remarkably extraordinary. It comes in a little diver tank. Such a nice touch! 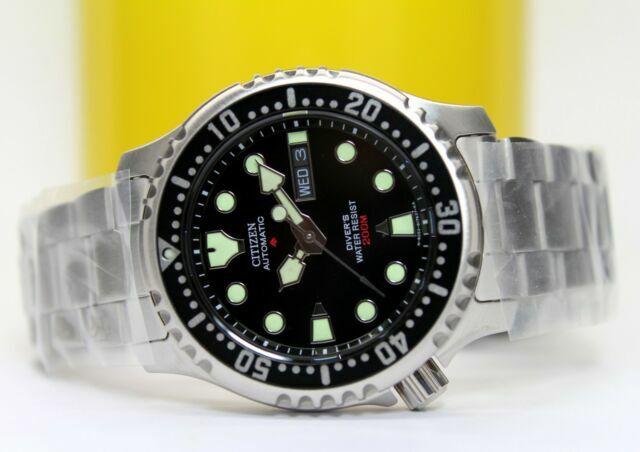 This may be the best entry level automatic diver on the market today!